When the word "investing" is mentioned 1 of 2 things happen, either people tune in or people tune out. Why does this happen and in a world where information is so easily shared and even easier to consume? I strongly believe that people deeply do not understand money or they have been conditioned to detest it and people who have it. So much so that people destroy their own future and chances for financial freedom and security. I don't believe this is the right way to live and my guests Toni Turner doesn't either. 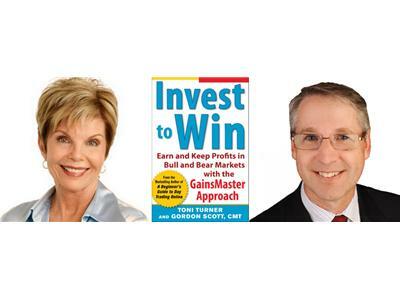 She has authored several best-selling books and her latest (co-authored) Invest to Win is a true WINNER. Make sure you don't miss a single word and I GUARANTEE you will learn something that will help you grow your wealth. Toni is the President of TrendStar Group, Inc. and the best-selling author of A Beginner’s Guide to Day Trading Online, 2nd Edition, A Beginner's Guide to Short Term Trading, 2nd Edition, and Short-Term Trading in the New Stock Market. 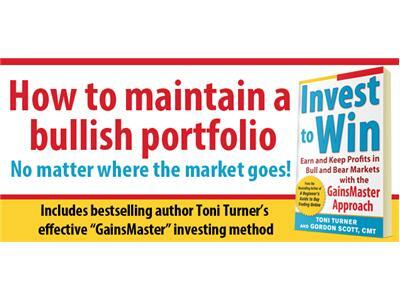 Toni is a popular educator and sought-after speaker in the financial arena. She speaks regularly at trading forums and conferences across the United States, including college campuses, Traders’ Expos, and Money Shows. Toni has appeared on CNBC, CNN, NBC, MSNBC, and appears regularly on FOX Business News. She has been interviewed on dozens of radio programs and featured in periodicals such as Fortune magazine, Stocks and Commodities, SFO, MarketWatch.com, Fidelity Active Trader, and Bloomberg Personal Finance. She also contributes regularly to TradingMarkets.com.